Its that time of the month again when we all eagerly await the knock on the door from our lovely delivery driver delivering our Degustabox! 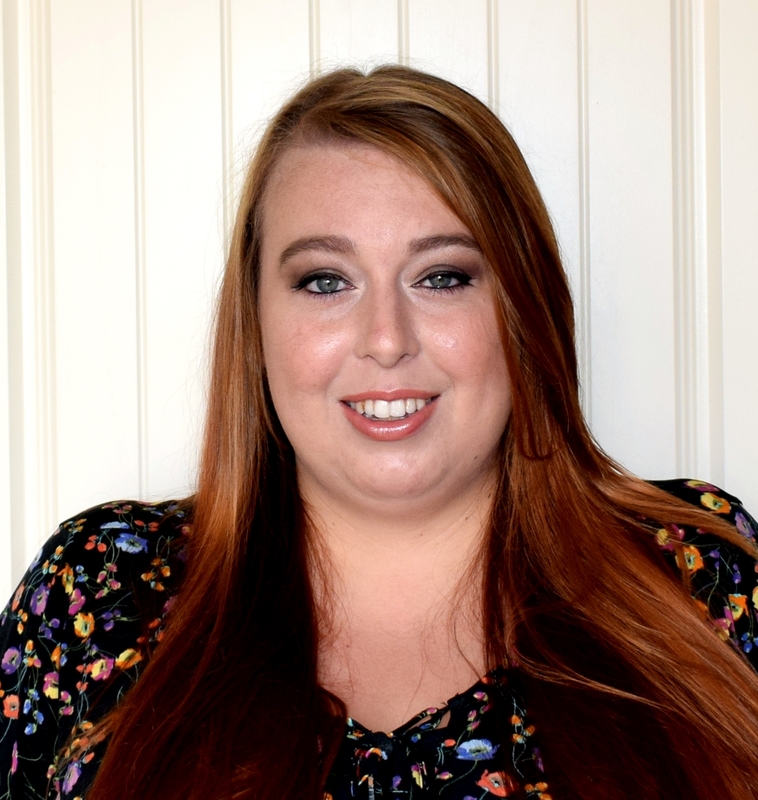 In case you haven't heard of Degustabox before they are a company who send out surprise food and drink boxes on a monthly subscription basis. 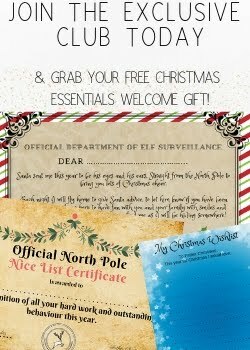 The boxes cost £12.99 and are delivered monthly, this price includes postage! Each month the box will contain between and 14 products for you to try, many which are completely new to the market! The new Jordans lighter granola only uses natural ingredients in a bid to make their granola lighter. 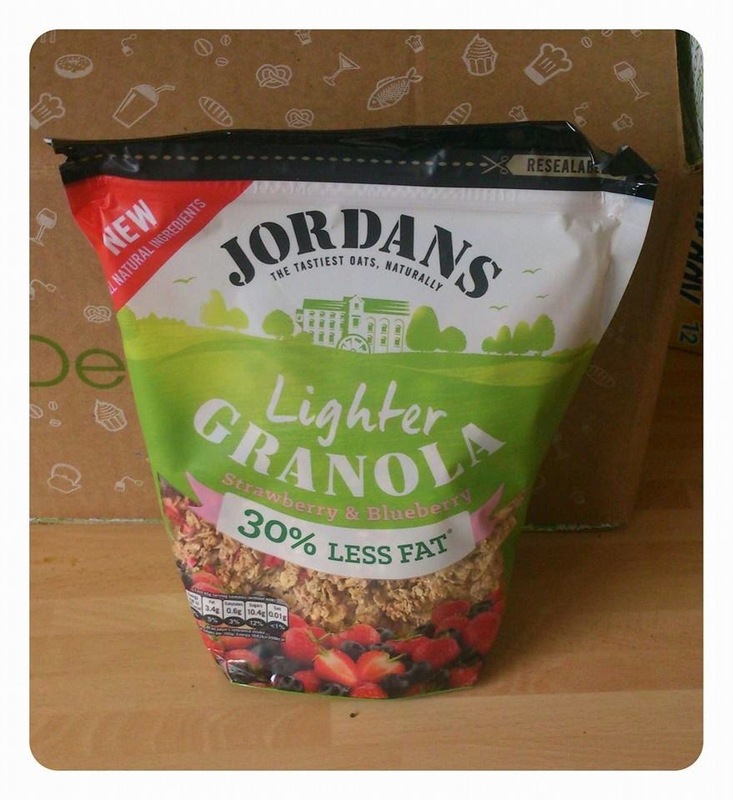 The Jordans lighter granola naturally has 30% less fat than other standard granola's, not only that but it is high in fibre too! I thought the granola tasted delicious and the hint of berries you could taste make it really refreshing. 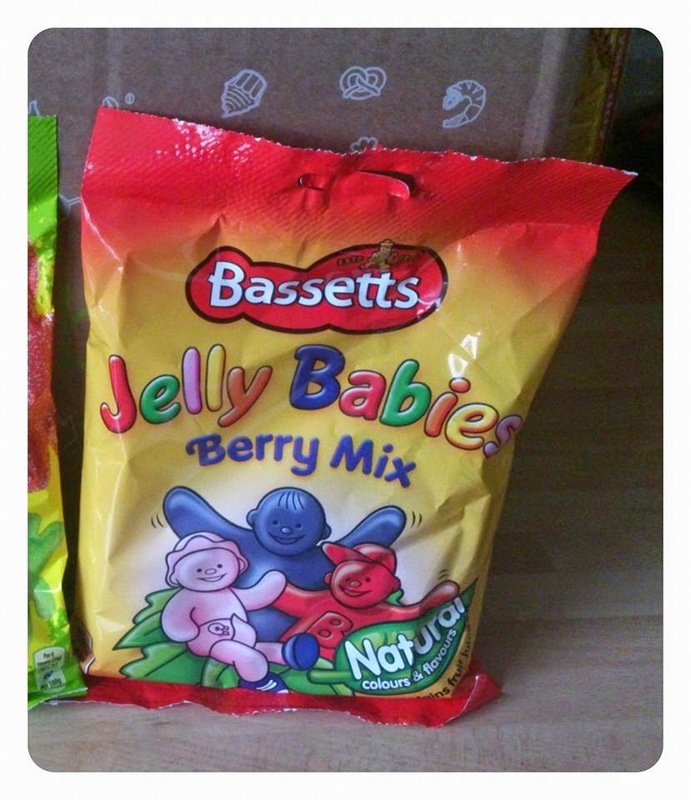 Jelly babies are a classis sweet that I am sure most people have tried, but now Bassetts have brought out a pack containing just the most popular flavours blackcurrant, strawberry and raspberry. The berry mis contains real fruit juice and natural colours and I can confirm they are delicious! 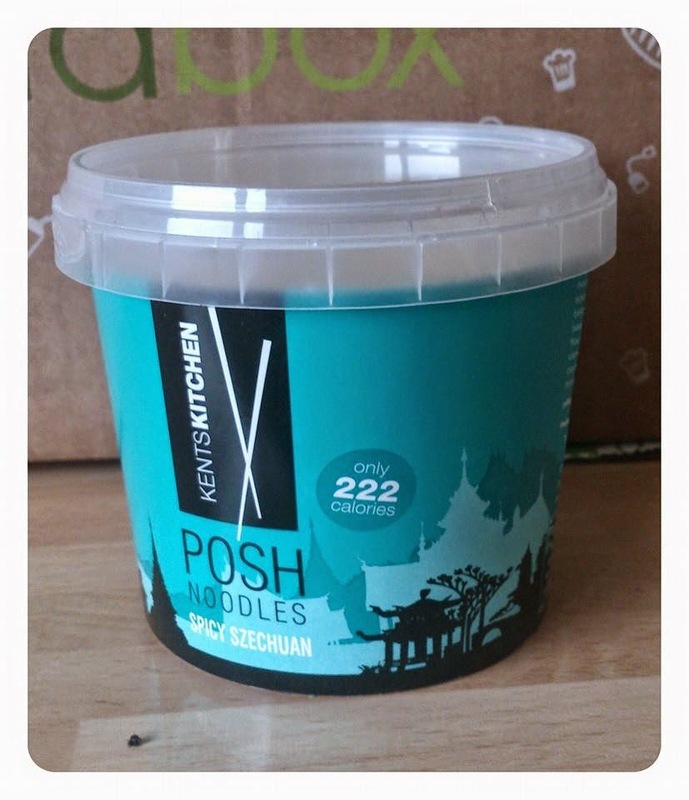 Kent's kitchen is a brand we have seen before in the Degustabox but this months box brought us a completely different product from Kent's Kitchen, Posh noodles! These handy sized pots are perfect for lunch on the go or for a quick hot snack. Posh noodles are made from natural ingredients making posh noodles tasty, low fat and low calorie. 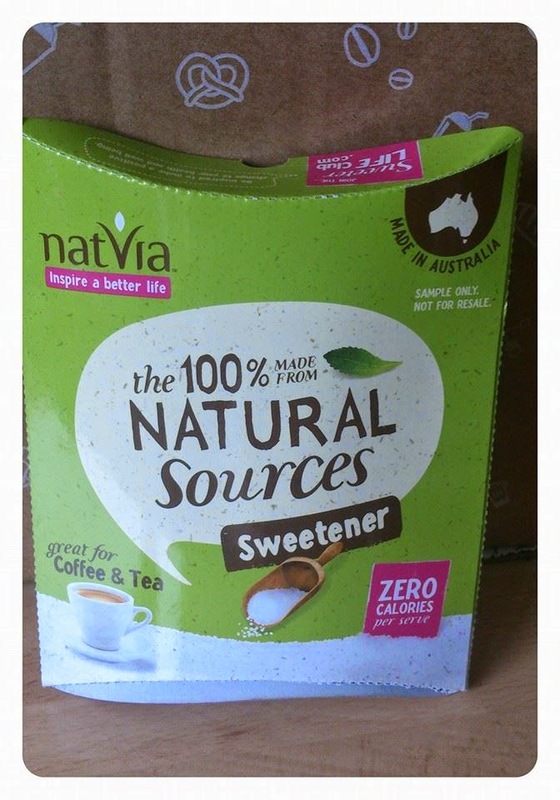 Natvia is a 100% naturally sourced alternative to artificial sweeteners and sugar . Natvia has zero calories per serve, is non-genetically modified and low GI! I am yet to try this yet but it sounds like a much healthier way to sweeten things! 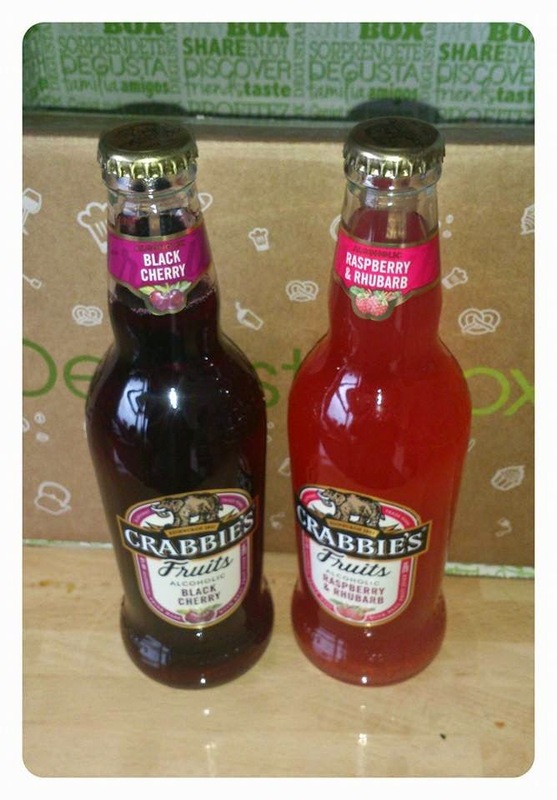 Crabbies have a new range of fruity flavoured alcoholic drinks that contain no ginger! There are 3 new flavours to choose from which are Black cherry, Zesty Lemon and Raspberry and Rhubarb. We received the Black cherry and Raspeberry and Rhubarb flavours to try both and although I was a little apprehensive at the raspberry and rhubarb they were both refreshing and tasty! These new flavours are made with up to 10% natural fruit juice and contain no artificial colours or flavouring and are 4% alcohol. 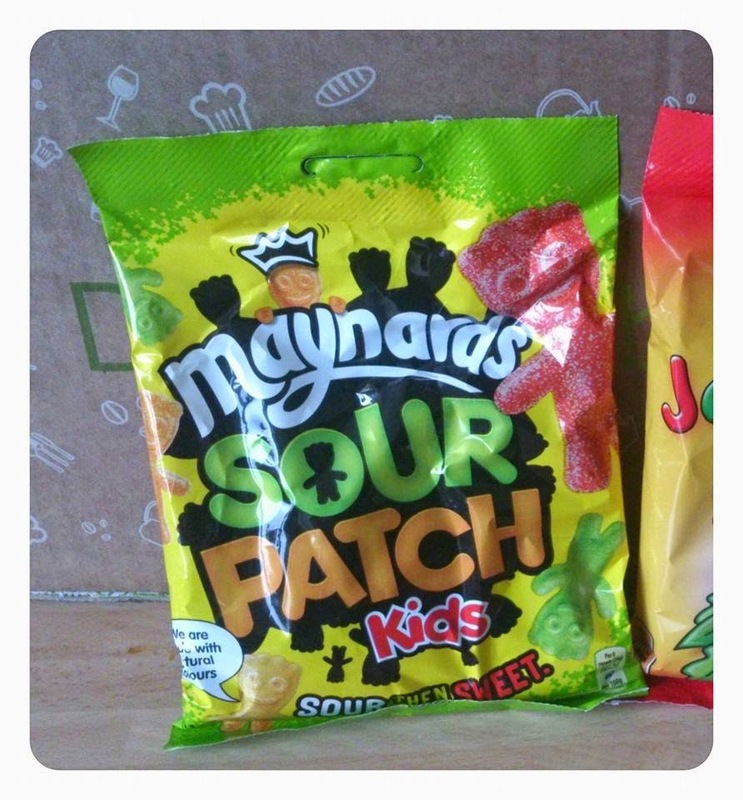 I have to admit im not a massive fan of sour sweets, they make my face go all funny and nothing seems to taste roght for hours after lol! However these sweets seem to have found the balance between sweet and sour with their soft jelly inside. 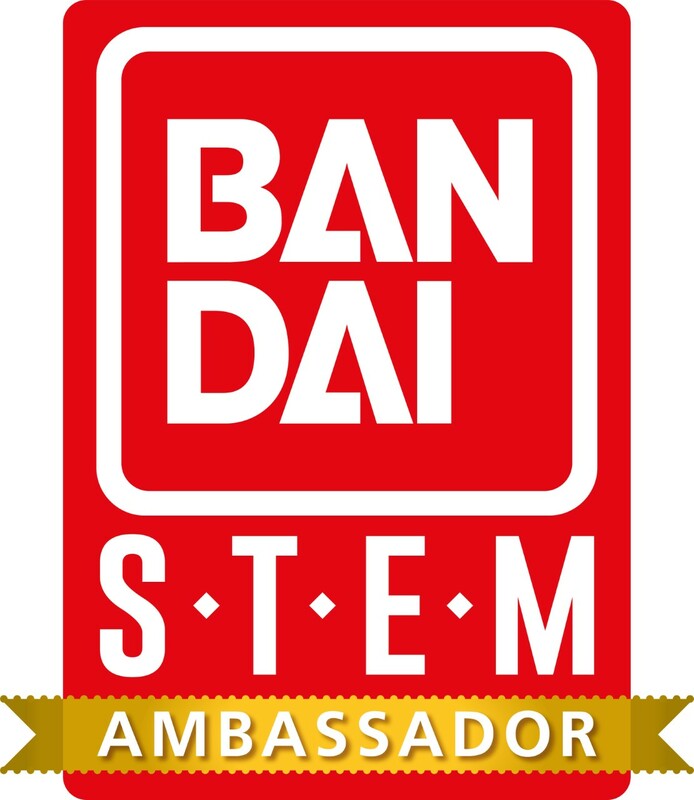 They are available in 6 different flavours too! I am always on the look out for a decent bbq sauce that isn't to sweet but really gives off that lovely bbq taste and I think I may have found it with BBQUE sauce! 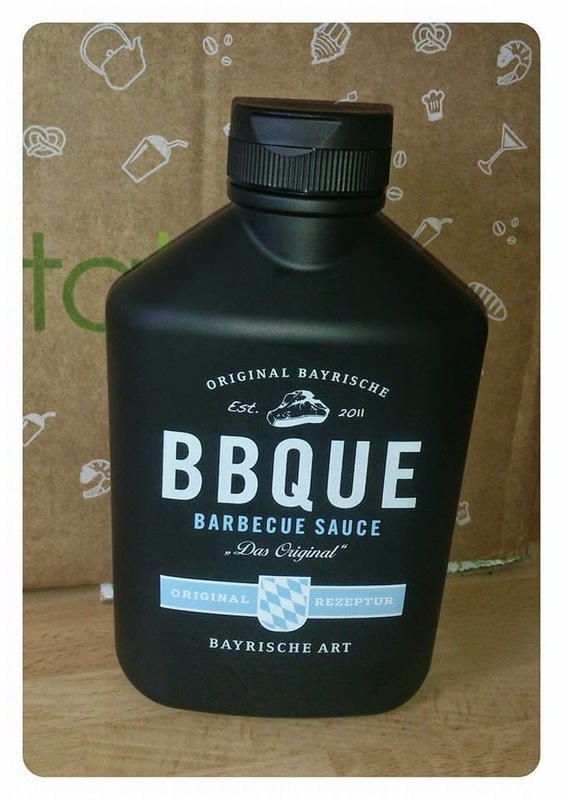 The original Bavarian barbecue sauces are now available in 4 unique flavours and would be perfect for marinating meat, accompanying meat from the bbq or for meals such as New York chicken (which is what we used it for). These were my favourite new discovery in the box this months! I am always a little wary of juice drinks as although they may taste delicious some of them can contain just as much sugar as a lot of fizzy drinks! 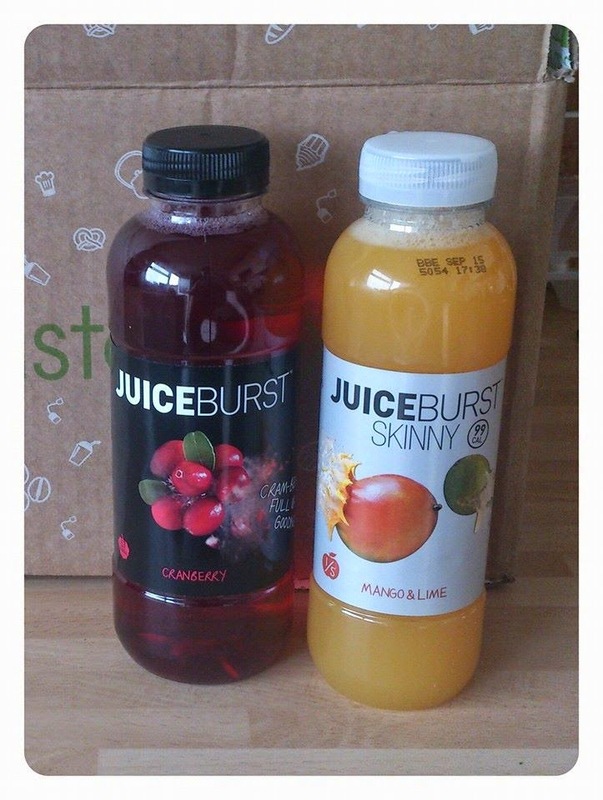 So when I discovered that Juice Burst drinks were not only delicious but they are low calorie too! They even have a "skinny range" which contains 1 of your 5 a day! These are most definitely a drink I will be continuing to purchase after the box. 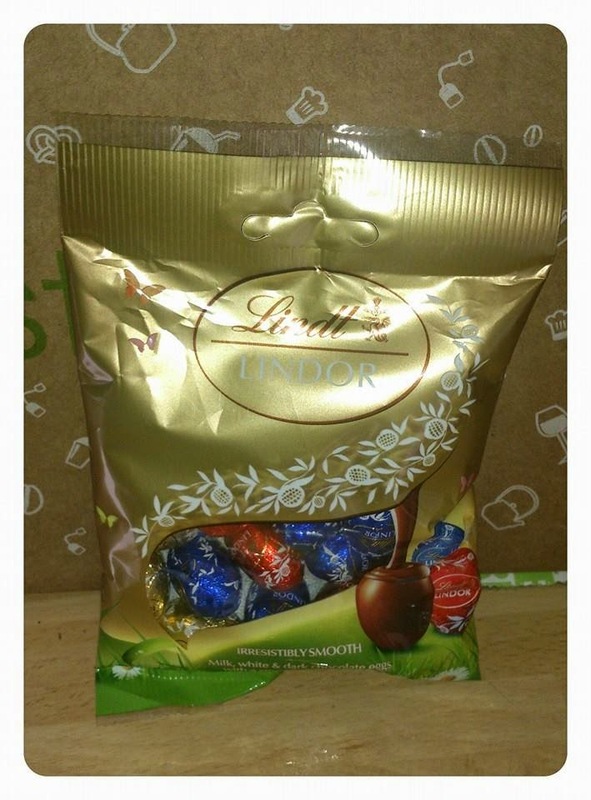 Lindor is my absolute favourite chocolate so I think I may have shrieked a little when I saw 2 packs of these in the box and swiftly hid a pack all for myself lol! Lindt Lindor is a delightfully smooth chocolate and this selection includes milk, white and dark lindor chocolate mini eggs assortment. These are perfect for a delicious Easter egg hunt and that it what I will be using our second pack for. 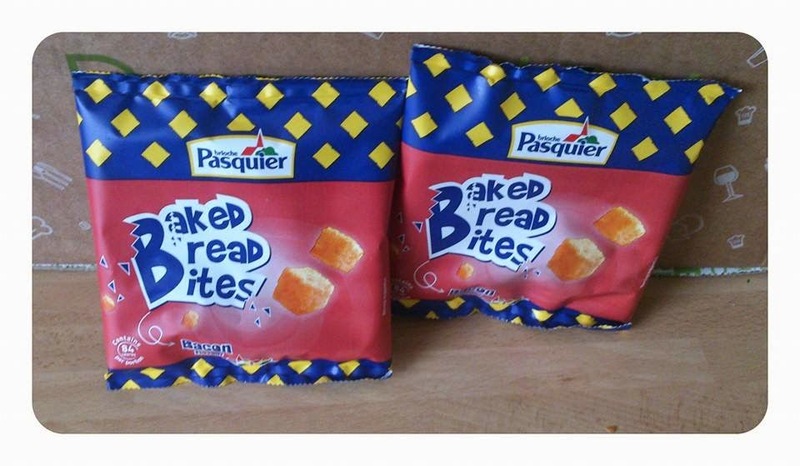 We have received other Brioche Pasquier products in past boxes bit its always great to find new products from a brand in the box. This month we received these bread bites which come in handy 20g packs, perfect for snacking on or for lunch boxes and picnics etc. The bread bites are made with real french bread and each pack is under 90 calories. They are also free from artificial colours, flavours and preservatives! I probably say this most months as the boxes are so fab, but this has definitely been my favourite box so far! It contained a mixture of food and drink, sweet and savoury and healthy and not so healthy foods to try. What product do you most like the look of in this months box? Looks like you get some awesome stuff for £12.99 I might have to give the service a go.